There’s no shortage of animals in advertising, with many-specied mascots hawking all manner of products, up to and including their own flesh and secretions. Catering perfectly to the inherent dichotomy of animal lovers who eat animals, meat, dairy and egg industry ads are rife with smiling animals all too happy to be eaten, or comically encouraging the consumption of others. This rather perverse yet extremely pervasive concept is something I explored in depth in this video, Do Animals Want To Be Eaten? 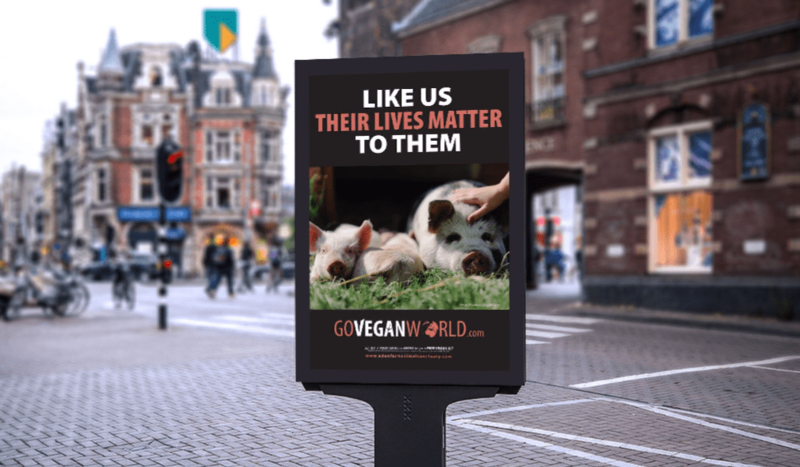 This is the very premise of Go Vegan World, the largest and longest-running vegan public advertising campaign spanning several countries and reaching hundreds of millions of people. At the heart of this incredibly effective international endeavor is Sandra Higgins, a vegan psychologist, educator, activist, and the founder and director of Eden Farmed Animal Sanctuary, the first of its kind in Ireland. In addition to caring for Eden’s 120 or so residents, Sandra delivers speeches all over the world and provides vegan mentorship and classes through Matilda’s Promise, a vegan education center named after one of Eden’s first residents. Please see link bellow to learn more about Matilda’s story. I realized for every individual that lives at Eden, this is the most important thing that we can offer them: a home. But in terms of the changes we need in the world—in the way that we relate to other species, other animals—that’s not enough. We need vegan education. So Go Vegan World, really, was born out of a period of darkness for me, where I felt very frustrated. I was running the Vegan Education center and I was doing individual vegan mentoring, but most of the people attending, were attending online from outside Ireland. The speaking invitations I was getting were coming from outside Ireland. So I was in this dark place that many activists would be familiar with: lying awake at night, feeling frustrated, seeing the results at the cold face of animal activism, seeing the victims coming here and feeling stymied and feeling like my mouth had been zipped shut and there was nothing I could do to get that message out to the world. The idea was inspired by the idea of people that had run bus advertising in the United States and in Canada, and I decided to do that here in Ireland. So I did that for about 4 months and it was extremely successful, and it was so successful that we decided to make it an international campaign. And the strength of Go Vegan World, is that the animals, for the first time ever, are on the streets—real individuals—many of them who live at Eden—lived and died—I mean some of them have died while the campaign is on the streets. For instance we had Diana, who was in the first campaign: They Trust Us - We Betray Them, and then some of her photographs were in the second campaign, and as the campaign progressed, I got a phone call to say that she had gone blind, and within 4 weeks she had died. They live and die here, and the very least we can do is let them tell their own stories. We used to think here in the beginning of Eden that we were rescuing them. No, they are rescuing us from our ignorance and I am still ignorant—every single day I learn something new about them and about what we’re doing to them. That’s the strength of what’s coming from Eden and that’s why I feel that the work I do here is not mine, it’s their work. Some of the very strong ways in which Eden and the residents at Eden have influenced the Go Vegan World campaign are some of those last ads that I used, like “Vegetarianism Is Not Enough”—for all the animals used for clothing, in research, for animals used for eggs, for the mammals used in the dairy industry. And the message gets home very quickly that eating less meat is no use to the one who is killed. It hasn't affected how I’ve constructed the ads at all, because the ads tell the truth about animal use, and what the animals need from us, so they stay the same regardless of where I show the ads. The International campaign is running in the center of some of the largest cities in the world: London, Birmingham, Glasgow; the 3 largest cities in the United Kingdom. How they’re received is very different though. The Birmingham Mail actually ran a poll asking people about the effect that the campaign had on them. I think it was 63% of people said they would go vegan having seen the campaign. And another 10% said they would consider going vegan. Also the advertising world itself has taken an interest in the campaign. 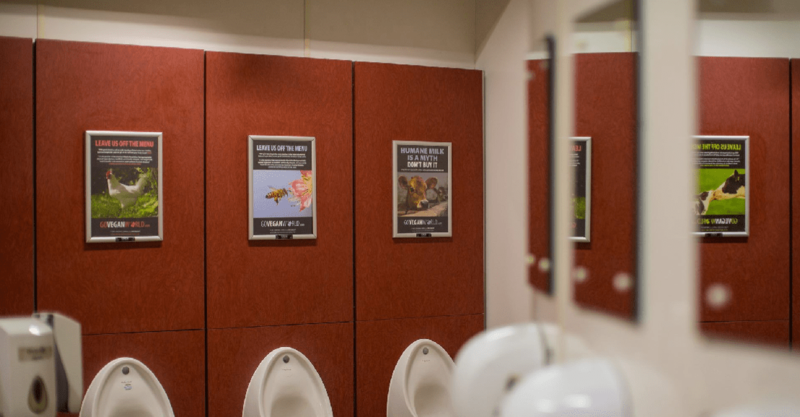 The campaign won an award for the bathroom advertising. 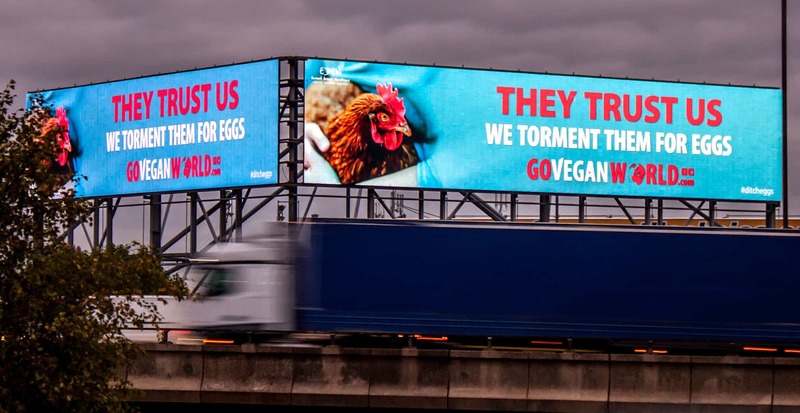 Not the most attractive of advertising but because it’s such a dwell time it’s really effective, so… In that campaign I tried to dispel the myth of humane use, particularly in the egg and dairy industry, and the notion that animal foods are necessary for human health. Marketing Week ran something on us last month on the subject of disruptive advertising. So in the same paragraph as Sony, and Facebook and The Financial Times, they included Go Vegan World advertising. The whole campaign is designed to get people to go to the website so that they get accurate information about animal use, a clear and consistent call to stop using other animals completely and now, and to make it easy for them to do that. And one of the most effective tools of the campaign is the Vegan Guide. So people can download that either by seeing the ads on the street, or through social media or through the online advertising campaign that I run that targets non-vegans. Or they can use the Q-Code that’s on some of the ads that are at eye level on the street. Or they can use a free text number. In Ireland people were a lot more defensive. And of course, in agricultural areas, this is very entrenched in the Irish psyche: the relationship with the land and the belief that other animals are our property, the belief that it actually forms some kind of economic security in the country, which it actually doesn't. People felt very threatened, they felt that I was threatening their way of earning a living and their very lifestyles. In terms of securing ad space, there was a lot more difficulty in Ireland than it has been outside Ireland, so the campaign almost didn't happen in Ireland, at all. I’ve also had difficulty in the UK. I’ve had difficulty on television but I haven't had difficulty with the outdoor advertising. It’s the first time a vegan ad has ever made it to television. It’s been viewed by a lot of people; we’ve seen an increase in the number of Vegan Guide downloads. And very interestingly, there have been no complaints. There have been complaints in the UK about the street ads, but there have been no complaints about the television ad. As Sandra said, animal agriculture is deeply rooted within Ireland’s culture, economy, and national identity. This was one of the most challenging aspects for me as an outsider attempting to speak about veganism in Ireland. It was my research for that speech led me to Sandra’s work in the first place. I reached out to her for insight and expertise, and had the distinct honor of sharing the stories of Eden residents Joy and Alice in my speech in Dublin. Months later, while walking the grounds of Eden, Sandra told me a story that gave me goosebumps, and hope for change. One of the most remarkable examples was the farmer who gave us two of the pigs who are here, Emily and Charlotte. He gave us Grace as well and Grace died very young. I was just going to bed one night, at about 10:00 or half-10:00 and there was a knock on the door and it was the farmer who had given us the pigs. And he came back to ask me how we ever started to do this to other animals, and he was very interested. And he came again a few weeks ago, and he said, the more he talks to us and the more he sees what we do here the more convinced he is that farming is wrong and veganism is right. Of course, when you see the inside of farms, and when you see the condition of the bodies that I rescue and what they go through and the deaths they have, of course it’s very easy to blame farmers. And when we think about the dreadful things they do in the dairy industry and the egg industry, and the mutilations and everything, of course it’s easy to look at them and say they’re heartless. But they’re doing what their fathers did. They’re doing what this country tells them to do, what it encourages them to do, what it pays them to do. They’re doing what we pay them to do every time we go into a shop and make a non-vegan purchase. They’re doing what the schools are teaching them to do, but they’re not the only problem. And it’s very heartening when farmers come to Eden and are open to what we’re doing here. Just open enough to listen. That there might be an alternative way. So one of the strengths of Go Vegan World, is that we’ve tried—and to a certain extent we’ve succeeded in—building positive relationships with farmers so that they see plant-based agriculture as an alternative to their current life and that they understand that veganism is not the enemy of farmers. We always need farmers and veganism is very much the friend of farmers. The residents of Eden have not only changed the hearts of farmers and launched an international ad campaign, but they were also the impetus for Sandra’s own vegan conversion. All my work is inspired and informed by the animals at Eden. I learned about sentience from them just by observing them. They made me question. I started to think about it. I fell into the humane myth thing for a few months. I was vegetarian myself, but I was still cooking meat for other people, and we were still using eggs and dairy products. And then one night some goats arrived in our yard, and they belonged to one of the dairies close by us, so I visited that dairy when we gave the goats back, and I walked out vegan. And I spent the next week researching animal rights, and I found the film “Earthlings” and when I watched “Earthlings” I threw out every animal product in the house. I went vegan overnight. You know, the food wasn't great for the first fortnight. I didn't know what I was doing. I was worried about my health, because I have severe, very severe osteoporosis. And I have to say that it was easy. It was easy, and I’ve never looked back, and it completely changed my life. I hope that you’ve enjoyed hearing from Sandra and, through her, the many survivors who have lived and died at Eden. Though she will always defer to them, and rightly so, I am constantly amazed by not only the astounding scope of Sandra’s activism, but also her dedication to preserving the integrity their message. If you want to help support this vital work, Eden is in need of volunteers, and currently has some job vacancies as well. Please see the citation bellow for how to apply. You can also share the Go Vegan World campaign to further the reach of their stories. My deepest thanks to Sandra for sparing time from her certainly packed schedule to make time for this interview. If you want to help support messages like this, see the support icons below. ✧ Do Animals Want To Be Eaten? Emily Moran Barwick, “Do Animals Want to Be Eaten?,” BiteSizeVegan.com, May 16, 2016. GoVeganWorld, “Go Vegan World - Public Vegan Advertising Campaign.,” Go Vegan World, accessed August 30, 2016. The Birmingham campaign alone reached over 100 million according to a Campaign Impact Report supplied by Sandra Higgins. Sandra Higgins, BSc (Hons) Psych, MSc Couns Psych, “Eden Farmed Animal Sanctuary,” accessed August 30, 2016; “The Compassion Foundation of Ireland.” The Compassion Foundation of Ireland. Accessed December 28, 2016. “Speaking Engagements | Sandra Higgins,” Eden Farmed Animal Sanctuary, accessed December 28, 2016. “Matilda’s Promise | Vegan Education,” On Eden's Site | On Dedicated Site, accessed December 28, 2016. Sandra Higgins, BSc (Hons) Psych, MSc Couns Psych, “Matilda (2009 - 2011),” Eden Farmed Animal Sanctuary, December 11, 2012. United Poultry Concerns Facebook Page. “United Poultry Concerns 2014 Bus Ad Campaign.” Accessed December 28, 2016. 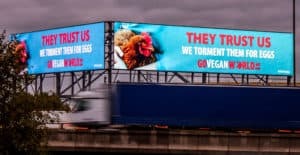 Sandra Higgins, BSc (Hons) Psych, MSc Couns Psych, “Go Vegan World Vegan Billboard Campaign Birmingham UK,” Go Vegan World, November 16, 2016. 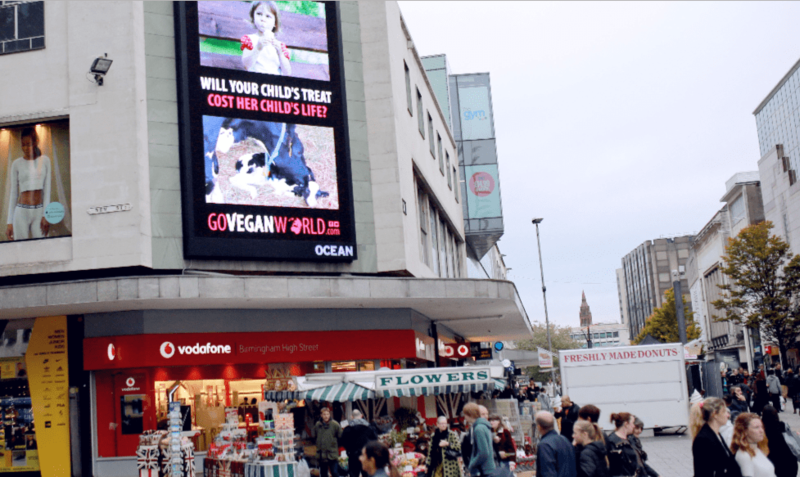 Sandra Higgins, BSc (Hons) Psych, MSc Couns Psych, “Go Vegan World Billboard Campaign Launches in Scotland,” Go Vegan World, November 29, 2016. Matt Cannon, “These New Billboards Tell Shoppers To ‘go Vegan,’” Birminghammail, October 26, 2016. AdMedia, “Congratulations to Our July Local Campaign Award Winner – Go Vegan World,” August 3, 2016. GoVeganWorld, “Go Vegan World Wins Local Media Award,” Go Vegan World, September 11, 2016. Charlotte Rogers, “How OOH Advertising Is Moving beyond Awareness,” Marketing Week, November 15, 2016. 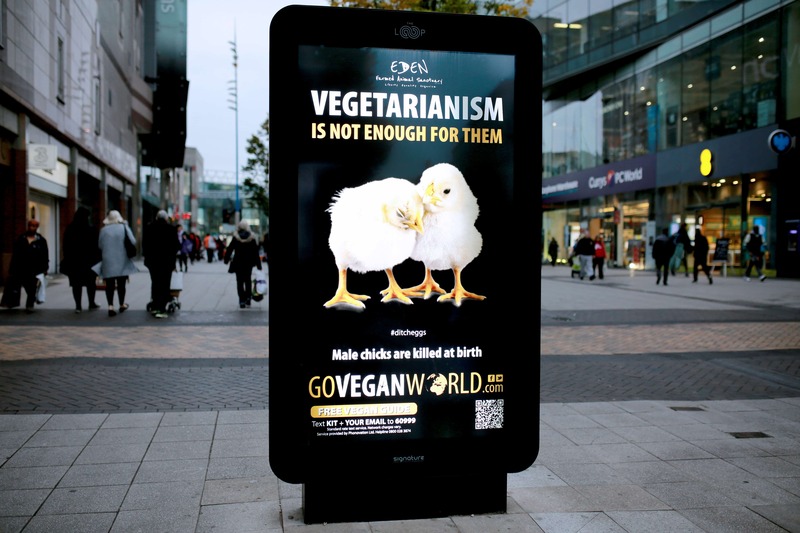 Sandra Higgins, BSc (Hons) Psych, MSc Couns Psych, “Go Vegan World Marketing Week OOH Advertising,” Go Vegan World, November 20, 2016. Sandra Higgins, BSc (Hons) Psych, MSc Couns Psych, “Go Vegan World’s FREE Vegan Guide,” Go Vegan World, accessed December 28, 2016. Sandra Higgins, BSc (Hons) Psych, MSc Couns Psych, “Go Vegan World Launch First Vegan TV Advertising Campaign,” Go Vegan World, November 25, 2016. Emily Moran Barwick, “The Best We Have To Offer? | Inside Ireland’s ‘Humane’ Farming” (Dublin, Ireland, September 28, 2016). “Vacancies | Help Wanted At Eden,” Eden Farmed Animal Sanctuary, accessed December 28, 2016. AdMedia. “Congratulations to Our July Local Campaign Award Winner – Go Vegan World,” August 3, 2016. http://www.admedia.co.uk/2016/08/congratulations-to-our-july-local-campaign-award-winner-go-vegan-world/. Barwick, Emily Moran. “Do Animals Want to Be Eaten?” BiteSizeVegan.com, May 16, 2016. http://bitesizevegan.org/ethics-and-morality/do-animals-want-to-be-eaten/. Batten, Jessica Naden. “Go Vegan! What’s Your Excuse? - Daily News Service.” Accessed December 27, 2016. http://www.dailynewsservice.co.uk/go-vegan-whats-excuse/. Cannon, Matt. “These New Billboards Tell Shoppers To ‘go Vegan.’” Birminghammail, October 26, 2016. http://www.birminghammail.co.uk/whats-on/food-drink-news/vegan-adverstising-campaign-tells-birmingham-12061857. Duffy, Rónán. “This Is What All Those Vegan Posters Popping up Are All about.” TheJournal.ie. Accessed December 27, 2016. http://www.thejournal.ie/govegan-interview-2454527-Nov2015/. Eden Farmed Animal Sanctuary. Hens Rescued from Enriched Battery Cages, 2015. https://www.youtube.com/watch?v=gcdlAUVhrUs. Gorman, Claire. “Vegan Adverts Aim to Cut Animal Cruelty.” The Times (London). November 20, 2015, sec. Irishnews. http://www.thetimes.co.uk/tto/irishnews/article4618821.ece. GoVeganWorld. 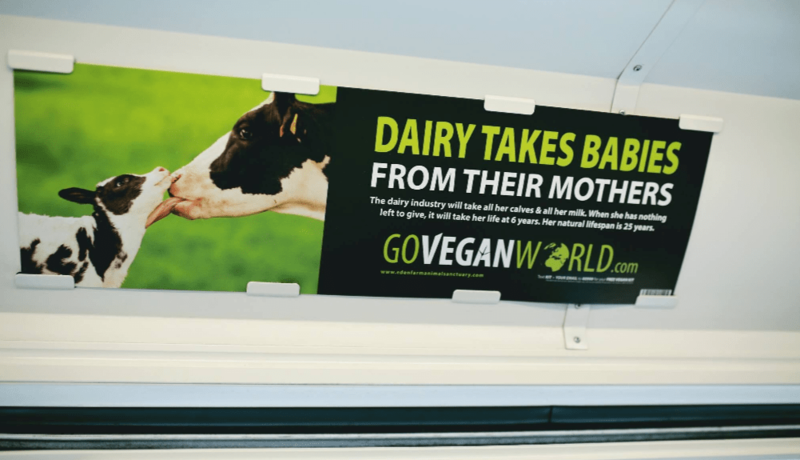 “Go Vegan World - Public Vegan Advertising Campaign.” Go Vegan World. Accessed August 30, 2016. https://goveganworld.com/. ———. “Go Vegan World Launches in the West Midlands.” Go Vegan World, October 20, 2016. https://goveganworld.com/launching-go-vegan-world-campaign-birmingham/. ———. “Go Vegan World Wins Local Media Award.” Go Vegan World, September 11, 2016. https://goveganworld.com/local-media-award/. Higgins, BSc (Hons) Psych, MSc Couns Psych, Sandra. “Alice’s Story.” Eden Farmed Animal Sanctuary, August 17, 2015. http://edenfarmedanimalsanctuary.com/alice-2/. ———. “Dairy Takes Babies from Their Mothers.” Go Vegan World. Accessed August 30, 2016. https://goveganworld.com/why-vegan/the-animals-we-use/dairy-take-babies-mothers/. ———. “Eden Farmed Animal Sanctuary.” Accessed August 30, 2016. http://edenfarmedanimalsanctuary.com/. ———. 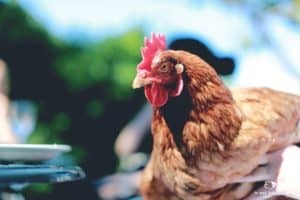 “Enriched Cages and Embodied Prisons: A Report on the EU Directive Banning Battery Cages for Egg Laying Hens,” 2015. http://edenfarmedanimalsanctuary.com/wp-content/uploads/2013/05/Enriched-Cages-and-Embodied-Prisons.pdf. ———. 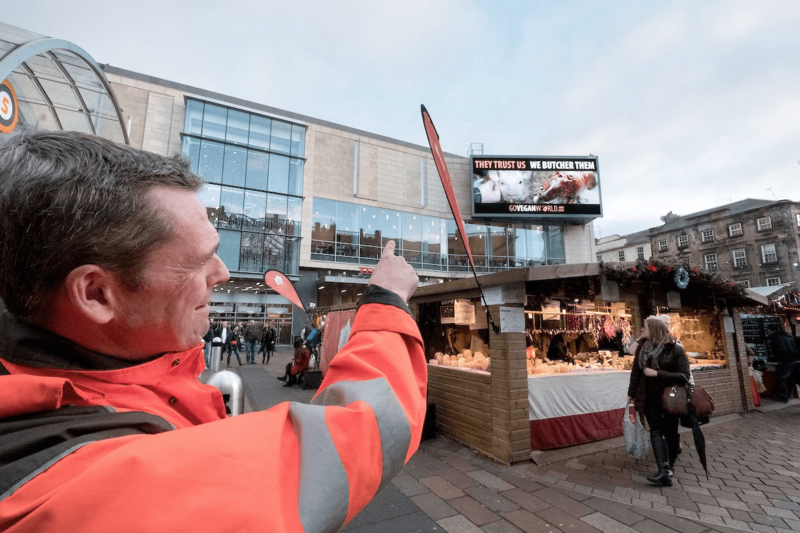 “Go Vegan World Billboard Campaign Launches in Scotland.” Go Vegan World, November 29, 2016. https://goveganworld.com/go-vegan-world-billboard-campaign-launches-in-scotland/. ———. “Go Vegan World Campaign | About.” Go Vegan World. Accessed December 28, 2016. https://goveganworld.com/go-vegan-world-campaign/. ———. “Go Vegan World Launch First Vegan TV Advertising Campaign.” Go Vegan World, November 25, 2016. https://goveganworld.com/go-vegan-world-launch-first-vegan-tv-advertising-campaign/. ———. “Go Vegan World Marketing Week OOH Advertising.” Go Vegan World, November 20, 2016. https://goveganworld.com/go-vegan-world-marketing-week-ooh-advertising/. ———. 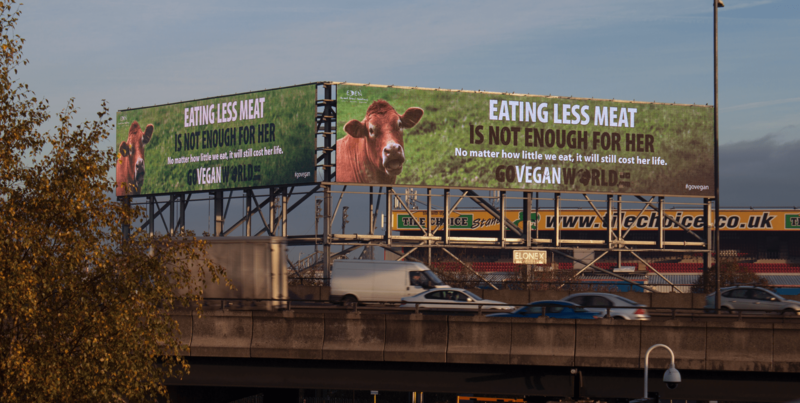 “Go Vegan World Vegan Billboard Campaign Birmingham UK.” Go Vegan World, November 16, 2016. https://goveganworld.com/go-vegan-world-biggest-vegan-billboard-campaign-uk/. ———. “Go Vegan World’s FREE Vegan Guide.” Go Vegan World. Accessed December 28, 2016. https://goveganworld.com/download-free-vegan-guide/. ———. “Matilda (2009 - 2011).” Eden Farmed Animal Sanctuary, December 11, 2012. http://edenfarmedanimalsanctuary.com/matilda-2009-2011/. ———. “Matilda’s Promise | Vegan Education.” Eden Farmed Animal Sanctuary. Accessed December 28, 2016. http://edenfarmedanimalsanctuary.com/vegan-education/. ———. “Media Coverage.” Go Vegan World. Accessed December 26, 2016. https://goveganworld.com/go-vegan-world-campaign/media-coverage/. ———. “Resident Stories.” Eden Farmed Animal Sanctuary. Accessed September 1, 2016. http://edenfarmedanimalsanctuary.com/blog/. iVegan.ca. “iVegan Toronto Subway Ad Campaign.” Indiegogo. Accessed December 26, 2016. http://www.indiegogo.com/projects/897918/fblk. Longworth, Emily. “Neither Fish, Flesh nor Fowl: What’s the Thinking behind Those Go Vegan Posters?” The Irish Times. Accessed December 27, 2016. http://www.irishtimes.com/culture/neither-fish-flesh-nor-fowl-what-s-the-thinking-behind-those-go-vegan-posters-1.2437312. Rogers, Charlotte. “How OOH Advertising Is Moving beyond Awareness.” Marketing Week, November 15, 2016. https://www.marketingweek.com/2016/11/15/the-many-faces-of-outdoor/. 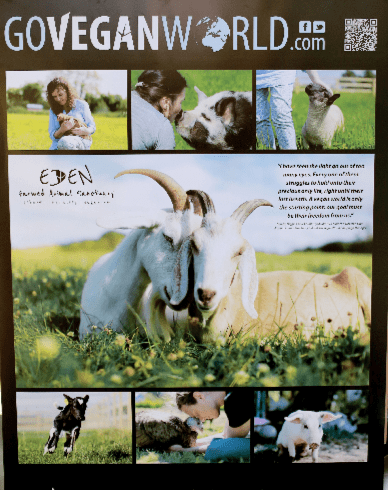 “Speaking Engagements | Sandra Higgins.” Eden Farmed Animal Sanctuary. Accessed December 28, 2016. http://edenfarmedanimalsanctuary.com/speaking-engagements/. Unnatural Vegan. Why I’m a Pro-Vaccine Vegan (and 12 Vaccine Myths Dispelled), 2015. https://www.youtube.com/watch?v=U71MN8RSePA. “Vacancies | Help Wanted At Eden.” Eden Farmed Animal Sanctuary. Accessed December 28, 2016. http://edenfarmedanimalsanctuary.com/vacancies/. Wow !! Sandra Higgins is amazing. What a fantastic campaign !!! Thank you Emily. Have a wonderful new year …… much love to you !!!!! What a beautiful and much-needed-to-see story. I will be sharing this with my students and colleagues. Thank you so much for all you are doing with this wonderful platform.